Hot favorite: The Q! 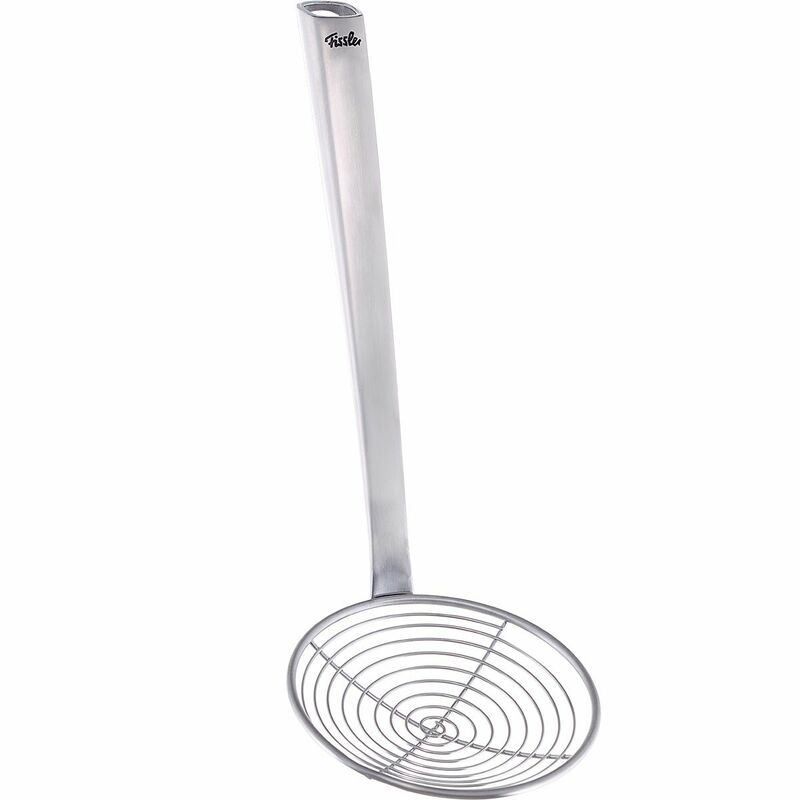 Frying spoon is the ideal removal solution when deep-frying fat or other liquids need to drain off as quickly and completely as possible. Its high stability and conical handle ensure a secure grip in the hand.